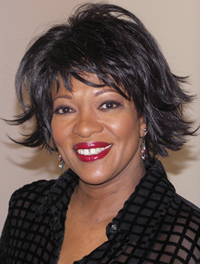 Rita Dove, Commonwealth Professor of English at the University of Virginia, served as Poet Laureate of the United States and Consultant to the Library of Congress from 1993 to 1995 and as Poet Laureate of the Commonwealth of Virginia from 2004 to 2006. President Barack Obama presented her with the 2011 National Medal of Arts; she is the only poet who has been awarded both the National Humanities Medal and the National Medal of Arts. She has published the poetry collections Thomas and Beulah (1986); Grace Notes(1989); Selected Poems (1993); Mother Love (1995); On the Bus with Rosa Parks (1999); American Smooth(2004); the novel Through the Ivory Gate (1992); essays under the title The Poet's World (1995); and the play The Darker Face of the Earth (1994). 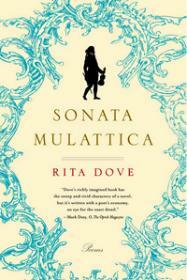 She is the editor of The Penguin Anthology of 20th-Century American Poetry (2011). This twelfth collection from the former U.S. poet laureate and Pulitzer Prize recipient is her third book-length narrative poem: it follows the real career of the violin prodigy George Polgreen Bridgetower (1780–1860), a former pupil of Haydn, as well as the grandson of an African prince, or so his promoters and teachers in England claimed. Moving to Vienna during the Napoleonic Wars, the violinist met and befriended Beethoven, who was prepared to dedicate his difficult Kreutzer Sonata to Bridgetower until a rivalry for the same woman drove them apart. Dove tells Bridgetower's story, and some of Beethoven's and Haydn's, in a heterogeneous profusion of short poems, some almost prosy, some glittering in their technique. From this crucial encounter evolves a grandiose yet melancholy poetic tale.